Nomad Botanicals brings the power of genuine essential oil aromas to you, transforming routine moments into wellness rituals and epic moments into unforgettable experiences. 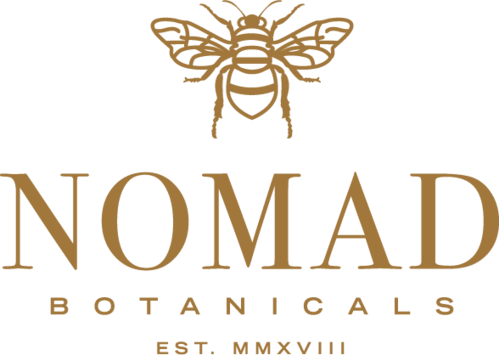 Kurt Schnaubelt is delighted to introduce Nomad Botanicals as the newest edition of offerings from Original Swiss Aromatics. This aromatherapy lifestyle brand, featuring essential oils and absolutes from Original Swiss Aromatics, has been designed as a luxury offering for you and for those you wish to gift. Carole Addison-Goyne began her aromatherapy journey with Original Swiss Aromatics and Pacific Institute of Aromatherapy 25 years ago. We are so pleased to support her creation of Nomad Botanicals. She has combined her passion for essential oil-based products with Kurt's scientific expertise and Monika's blending artistry to develop aroma rituals for the wholistic nomad in all of us.